This RUN comes signed by OakOak and includes an Original Artwork Letter of Provenance from Inner State Gallery. Since 2006, the urban outdoor is OAKOAK’s playground. Born in the city of Saint-Etienne, France, he pastes his drawings everywhere he goes so as to bring smiles to passers-by where they least expect it. His approach consists of diverting urban elements, playing with mundane flaws, like a crack on a wall. He adds his own vision, his own references that often stem from the geek culture. His art is a means to poeticize the urban environment. 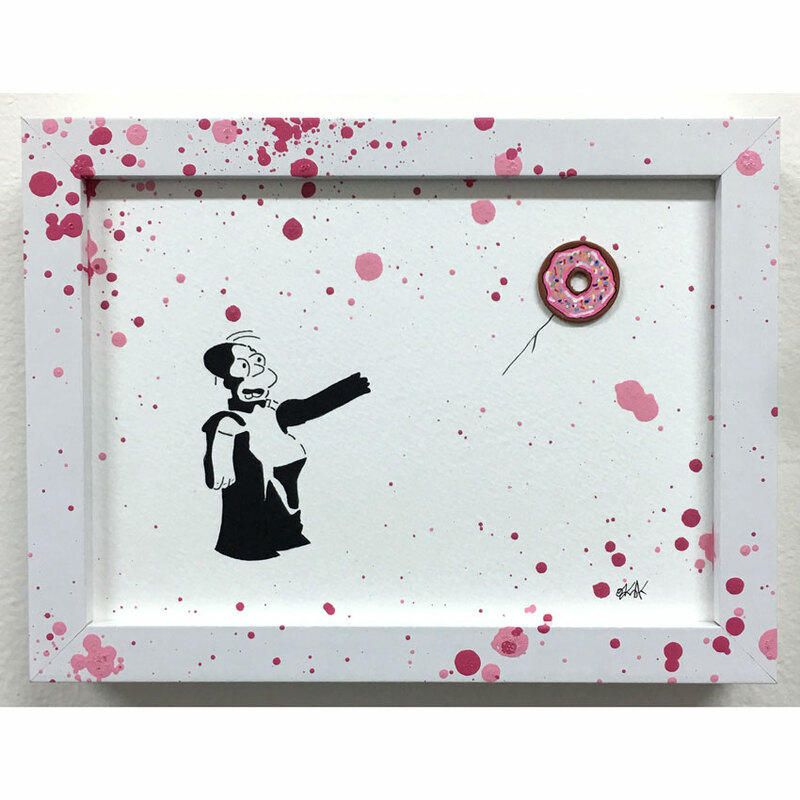 It is in 2012 at Lazarides’ The Outsider Gallery (Banksy, Invader) in Newcastle that OAKOAK’s first solo show took place. He also exhibited in France in the Lavo Matik (2016), the Cabinet d’Amateur (2015), both based in Paris, and Clemouchka Gallery (2015), based in Lyon. In October 2015 also took place his very first solo show in North-America, at the Vertical Gallery based in Chicago, Illinois. 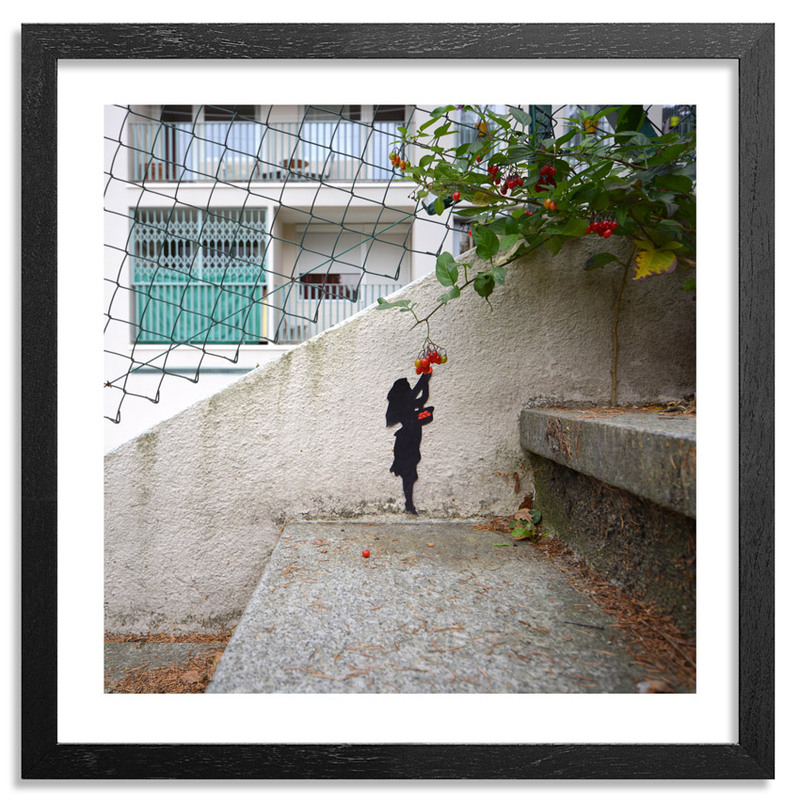 OAKOAK collaborates with other street artists such as Fra Biancoshock (Italy), The Wa (Germany), Bulbe (France), Zabou (UK). He recently did some interventions all around the Amsterdam’s Schiphol Airport business area. His work has been published in two books, one at Edition populaire (2011) and the other at Editions Omaké (2014).